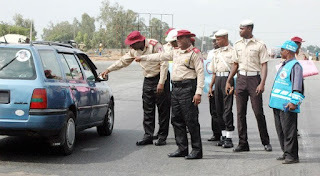 The Federal Road Safety Corps (FRSC) has revealed that it will commence full implementation of the Penalty Point System on traffic offender come June 1, 2019. By this development, offenders who violate traffic regulations for a stipulated number of times will be sent back to driving schools for a retraining, while others will be subjected to compulsory community services according to number of offences committed. According to Bisi Kazeem, the Corps Public Education Officer, the Corps Marshal, Dr Boboye Oyeyemi, stated this on Wednesday, during a critical summit on Information Technology at the national headquarters, Abuja. Oyeyemi decried that the continues violation of traffic laws by motorists simply suggests that either most of drivers on Nigerian roads did not attend a driving school or attended but did not learn what they were taught in those schools, while others violate traffic laws deliberately.